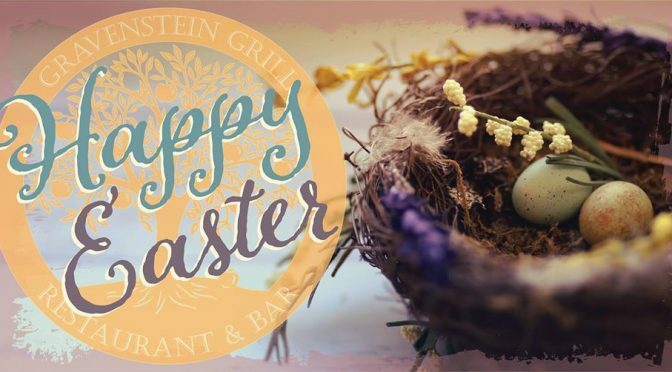 Celebrate Easter with Brunch at Gravenstein Grill! YUM-Check out this delicious Easter menu at Gravenstein Grill! Brunch will be served on both patios and in the dining room, from 10am to 2:30pm on Sunday April 21st, featuring Chef Simontacchi’s new 2019 Spring Brunch Menu! Reservations highly suggested. Call (707) 634-6142, or visit our website at www.gravensteingrill.com to reserve.